CREB is predicting that the resale housing market in Calgary and the surrounding area will experience moderate sales and house price growth this year. This is partially due to slower growth trends in employment, which will play a role in further lowering migration estimates. Still, the area is expected to continue to see good resale activity and to continue moving toward a market recovery. 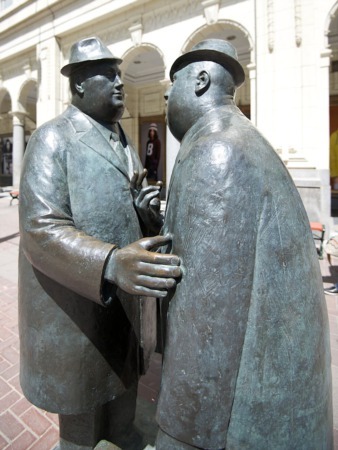 According to the latest CREB report, Calgary's sales growth will increase to 2.2 percent in 2013 while house prices will grow by 2.9 percent. Sales growth, particularly within the single-family market, is expected to fall due to lower migration estimations. As can be seen in this graph, migration to Calgary reached a 6-year high in 2012. Although migration is expected to all off this year, the levels are still expected to remain higher than the four previous years. 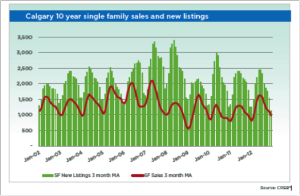 The number of available listings is also expected to fall in 2013. Nonetheless, experts predict the market will remain well supplied and prices will continue to grow. Still, they are not likely to reach the levels that were achieved in 2012. While 2012 saw growth of nearly 15 percent, representing the greatest growth since the recession, it is not likely to enjoy the same growth this year. 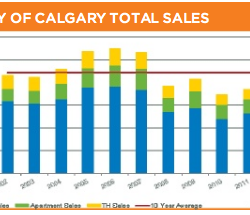 As this graph shows, new listings will continue to shrink, which will limit the potential for sales growth. Growth in the single-family home market will be further hindered by housing policies that encourage multi-family development. Therefore, single family homes are expected to only grow by 1.8 percent. 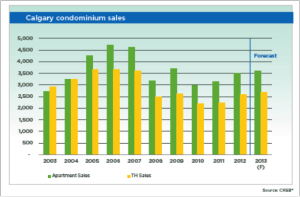 While the single-family market is expected to see a slowdown in activity, the condominium market is expected to enjoy some growth in 2013. Overall, the market is expected to grow by 3 percent. As the chart shows, condo apartments are expected to appreciate by 2.4 percent while condo townhouses will appreciate by 2.8 percent. While experts predict a "balanced" resale housing market for 2013, there are still numerous risks to consider. For example, the housing market is closely tied to the oil sector. Pipeline constraints and a lack of access to diverse markets is impacting the price of oil. If the price trends continue, the job sector could also be affected. 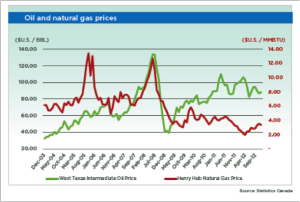 Trends in oil and natural gas prices can be seen in the chart below. 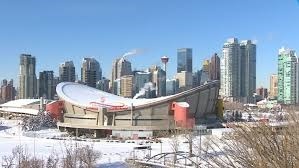 In all, while things may slow down a bit over the next year, the Calgary housing market is expected to remain strong through 2013. Our housing market is really starting to go up a few notches. We've noticed less foreclosures and a little more short sales but mainly more owner/seller's which is really great for our market. Many centres are forecasting a good 2013 - it is nice to see the housing market recover on a wider scale. We are really seeing a better start to this year than most years over the last 5. People are looking for more vacation and 2nd homes again and that's right up our alley. We are seeing a huge influx of cash buyers. So many so that homes are flying off the market and many first time homebuyers are left in the dust. Such a switch from just a few years ago. That is an excellent indication of an economy that is under recovery. People do not buy vacation homes in uncertain times. Thanks for the comment. Less foreclosures are a good indication of market recovery.